Regis Elermore Vale is one of the best nursing homes near Newcastle, NSW for you or your loved one. Newly opened in 2018, this location is perfect for anyone over 55 living in Newcastle looking for an aged care facility providing excellence. Assisted living in Newcastle (NSW), at Regis Elermore Vale, boasts tree lined views of the Hunter Valley region and tranquil surroundings. Innovative aged care – Ageing-in-place, dementia care, palliative care and respite care are offered. Regis Reserve is also available. Lifestyle program – An individualised care plan is tailored and made for all of our residents and monitored discreetly through our unique Mosaic system. Food – On-site chefs prepare delicious, nutritious and balanced meals for our residents daily. Social – Social events are held regularly to encourage residents to form new friendships and discover new hobbies. 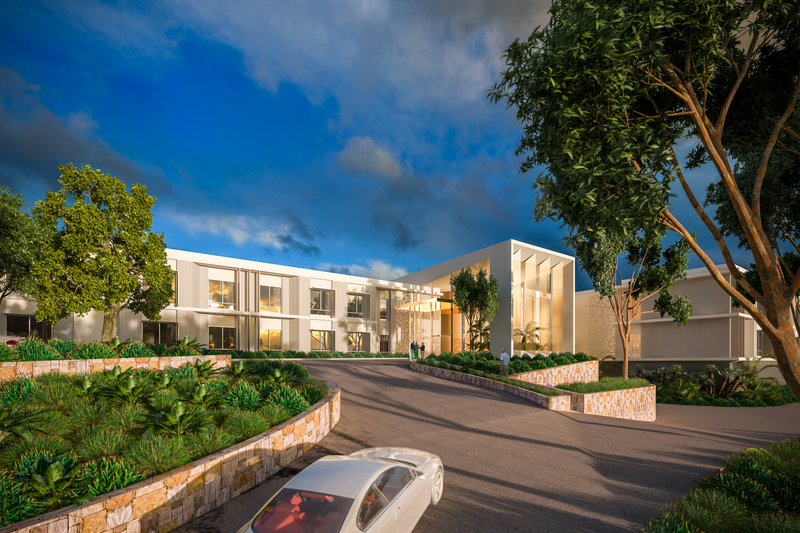 Visit our award-winning architect designed aged care facility at 156 Cardiff Road, Elermore Vale. Book a tour with us today and let us show you what aged care with Regis is all about.